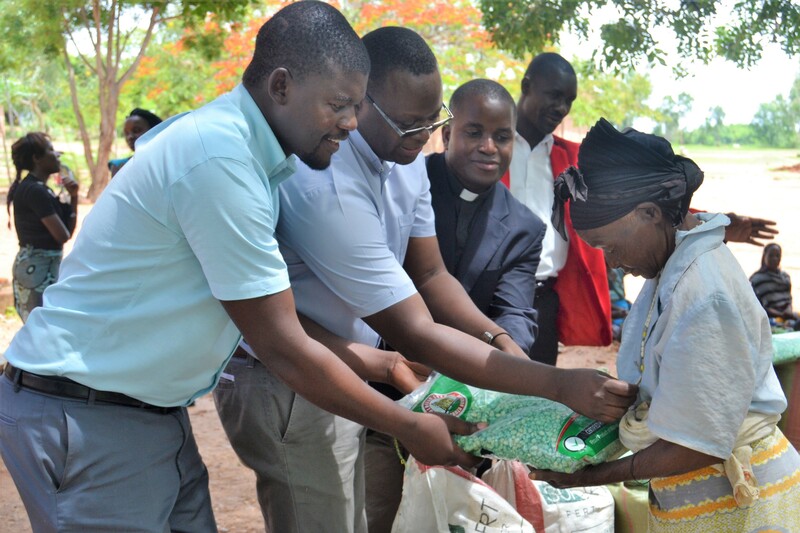 The Catholic Diocese of Karonga has donated maize and farm inputs to residents of Mwenitete, Mwawembe and Mwankenja Mwangonde villages in Mpata in the area of Paramount Chief Kyungu in Karonga district. The donation follows the return of the internally displaced, Mwankenja Mwangonde villagers, who left their land in February as a result of a protracted land dispute which turned violent. The returnees had lost their means of livelihood and could not prepare for farming this year hence the donation of farm inputs. During the exercise, each of the 69 households from Mwankenja Mwangonde received a 50 kilogram bag of maize for food, two bags of fertilizer (Urea and NPK) and a 10 kilograms package of maize seeds including a 50 kilogram bag of maize for household consumption. The donation was extended to 120 other equally vulnerable villagers from Mwabwembe and Mwenitete villages received a 50 kilogram bag of maize each to carry them through the lean period. 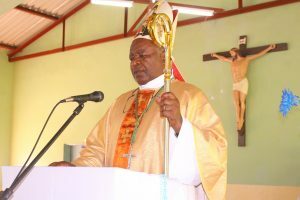 Speaking on behalf of Bishop Martin Mtumbuka of Karonga Diocese, Father Joseph Moloka Sikwese the Bishop’s and Pastoral Secretary, said this goodwill gesture follows the resolution of a long standing land disputes that led to the displacement of Mwankenja Mwangonde villagers. 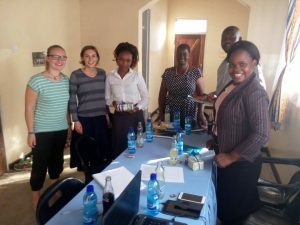 “Diocese is very impressed with the three villages for reconciling on the long time feud through the initiative of the CCJP in conjunction with the District Peace Committee under Karonga District Council.” Said Father Sikwese. He further pledged that through the Justice and Peace Desk, Karonga Diocese will continue fighting for Justice and peace in the area. He urged the people to utilize the village tribunals being championed by Justice and Peace Desk as one way of making Karonga free from wrangles. Concurring with the Bishop’s secretary, the representative of the Principle Group Village Headman Kalambo said the area is behind in terms of development due to prolonged violent conflicts.